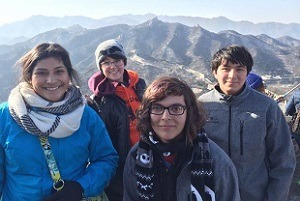 No one goes to Beijing without visiting the Great Wall! 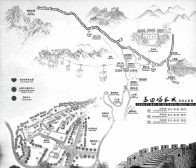 Among several famous Great Wall sections, Mutianyu Great Wall (Mù tián yù chángchéng 慕田峪长城) is the best choice. This section is relatively remote, less touristy and less crowded. Mutianyu Great Wall not only shows the true majesty of the Great Wall, but also offers unique natural scenery. 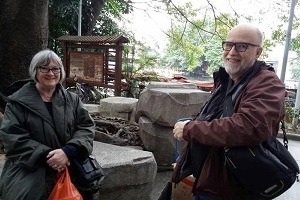 Our daily departure group tour includes pick-up, English speaking tour guide, entrance ticket and Chinese lunch. 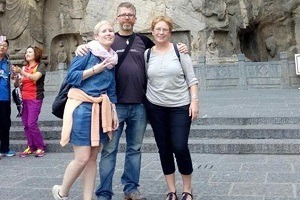 This is a completely non-shopping Great Wall tour with affordable price. 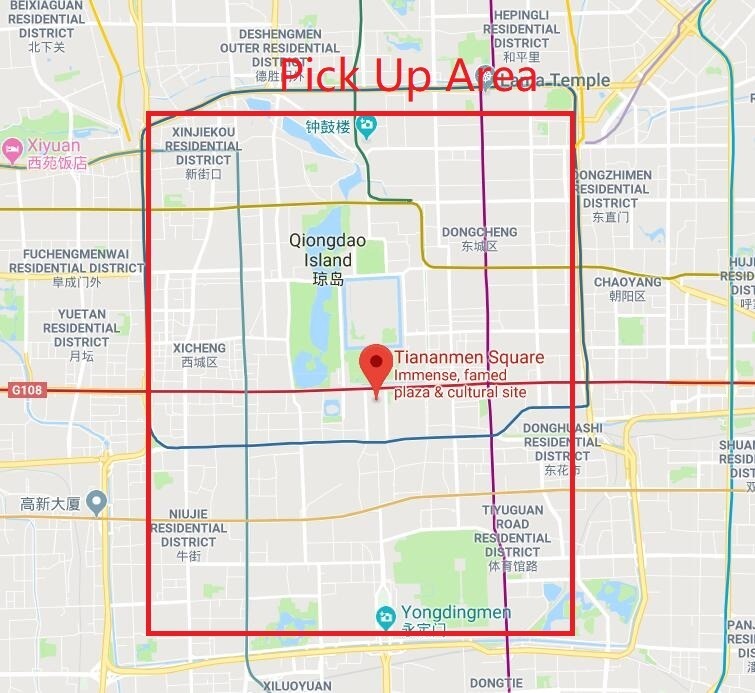 Picking up area: Hotel or apartment within 2nd Ring Road, for places beyond 2nd Ring Road in Beijing, please go to McDonalds next to Exit C of Dongzhimen Metro Station of Subway line 2. Our tour guide will pick you up from your hotel at about 7:00 am. 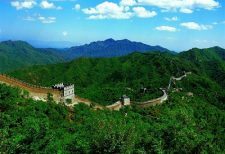 Then drive directly to Mutianyu Great Wall, which is located in Huairou County, around 70 km (44 mi) northeast of Beijing. 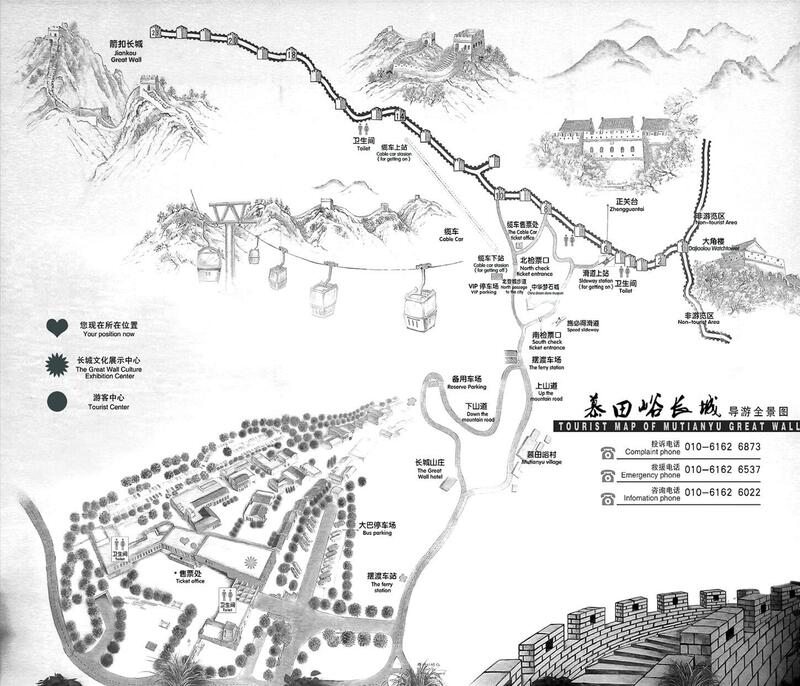 The Mutianyu Great Wall was constructed on the basis of Beiqi Great Wall’s ruins. The construction work started under the supervision of the General Xu Da from 1368 and went on for more than 100 years. This section is well-known for its breath-taking beautiful scenery and being less crowded. You will arrive at Mutianyu Great Wall about 9:30 am. The round way trip involves a 6 km trek, lasting about 3 hours, over a string of 22 watchtowers. You can ascend hike up along the mountain road or via cable car (on your own). To head back down, there’s also a toboggan (on your own) available for fun. 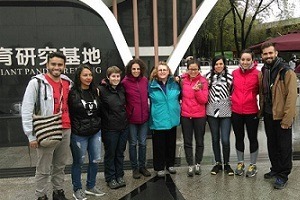 The hiking will finish around 1:30 pm, then have Chinese lunch at the foot of the Great Wall. After that, transfer back to Dongzhimen Metro Station around 5:00pm. 1. 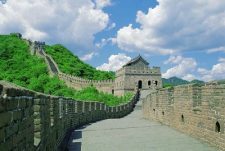 Our Mutianyu Great Wall day tour pick up area is usually within the 2nd ring road of Beijing city. Please check with us if your hotel is inside our coverage area. (Click in to review the service district area) If your hotel is outside of our coverage zone, you may need to take a taxi or subway to our designated pick-up point. 2. Travelers will be picked up from hotel at 6:30 a.m.- 7:30 a.m.. If you stay in an apartment, please find a nearby hotel as your pickup point. Please arrive in the hotel lobby 10 minutes before scheduled departure. 3. Our guide will let you know starting time you by phone or leaving a message to your hotel before 11:00 p.m. the day before your scheduled activity. If you can not receive it, Please call us at +86 178 1320 5162 for any urgent matters. 5. 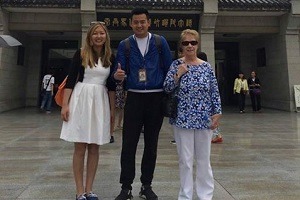 Tourists can either make payment online via Paypal or pay cash to tour guide when pick up from hotel, both USD and CNY are acceptable. 6. 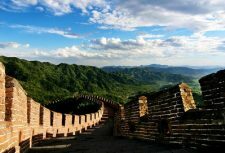 The best time to visit Mutianyu Great Wall is spring and autumn, as the weather isn’t too cold nor too muggy, air clarity is crystalline. 7. Cable car is optional for CNY100 for single way, CNY120 for round way, and toboggan is also worth to try at the same price with cable car.